Eric Clapton - "Rush" (Soundtrack) One of his most creative works, but not well known. .....how about a little CCR....or maybe some Janis. Someone is showing signs of aging here! E.C. was probly before your time! Remember the Cream? He was there! And then went on to become one of - if not the - greatest guitarists in the Blues genre. Take a listen by clicking below (hope this works!) and clicking on the recording sample. Eric's "Have you ever loved a woman"
Try the attachment below from the Rush album . .(maybe) nopr, too large. You'l just hafta settle for amazon's sampling. Give me Arlo Guthrie or Bachman Turner Overdrive. 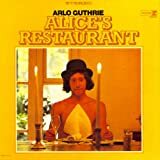 Alice's Restaurant with Arlo was a classic!! and of course there will never be another Blondie!! In my crazier, younger days, I once could recite Alice's whole story. Alas, not any more. Maybe I'll re-learn it. David -- Eric Clapton is one of my favorites too. Inside every old person is a young person wondering what happened. Rolly: "Inside every old person is a young person wondering what happened. " You know that you are getting old when artists like Rod Stewert, Elton John, Don McLean, Neil Diamond, and Jim Croce are only heard as "Elevator Music" over the PA system in the local grocery store. "..........singing, this will be the day that I die." I'm still stuck with Bing Crosby, Peggy Lee, Gene Kruppa, the Mills Brothers, Glen Miller, etc. Hell, I even remember Gene Austin and Bessy Smith. Was there life after the 50's? On October 5th, this year, My son, Dylan (25th birthday) went to hear the guy he's named after. That guy is as old as i'll be this coming Thursday, 62. Oh my, how time flys! the best to you all.